A story is how your chatbot will respond to expected messages. You can create an appropriate scenario for your chatbot to follow. You have to be careful while creating a story because it can break if an unexpected question arises. Before creating a story, jot down all the questions your customer may ask and also its sequence. You have to create multiple stories for your users. 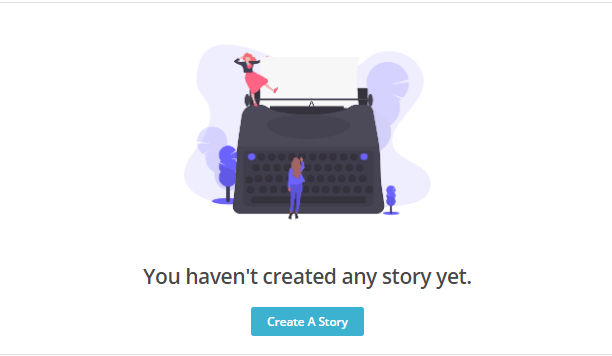 Here is a brief tutorial on how to create a story on Botsify. 1. 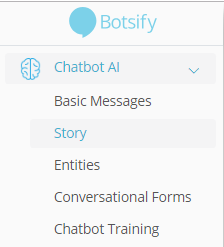 Log into your account on Botsify and from the Top right of the dashboard select the chatbot for which you want to create a story. 3. You will land to a new page, select “Create Story" from the centre of the page. 4. 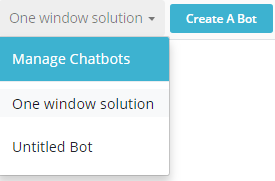 On the “Create Story” page you will be presented with dialogue boxes and you will have to carry out a conversation to program the chatbot. 5. On the left, you have the user's dialogue box and on the right, you have the chatbot's dialogue box. 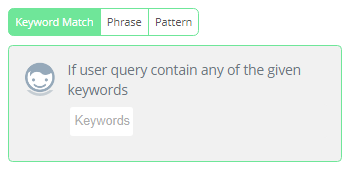 Keyword Match will check whether the given word exists in the user's sentence. It can answer user’s query if any of the words are used in the question. Phrase Match will match the exact phrase with the user's sentence. Pattern Match will check whether the given pattern exists in the user's sentence. If you select Phrase Match you will notice an input field which says "Add similar responses". Here you can write additional phrases which are related to the original phrase. Now let's take a look at the chatbot dialogue box. There are a couple of options on it. 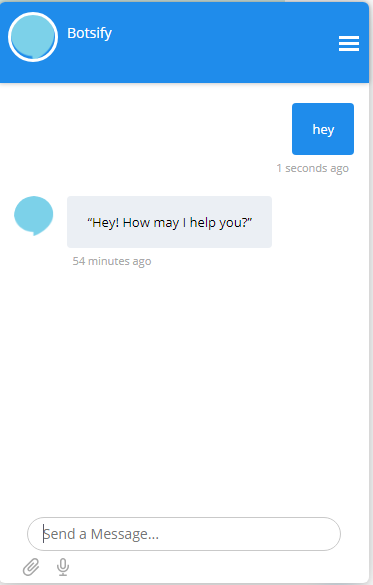 First, the input field "Bot Says" which allows you to write the response you want your chatbot to give. Beside it, is a Variables button. This contains variables such as user's first name, last name and last user message. You can use these variables in your response. Add alternate responses allows you to write other possible responses which are related to the original response. Last but not the least, is the quick reply. To know more about Quick Replies you can read it here. There are few options below the chatbot dialogue box. After all of the responses have been designed, your chatbot will be completed. You can now scroll to the top and click on the “Save” button to save your story.